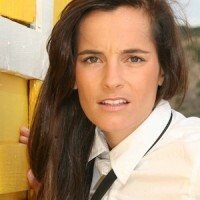 Mariana Moura Santos is director of interactive at Fusion. Santos, Mariana Moura. "Bringing women into tech." Nieman Journalism Lab. Nieman Foundation for Journalism at Harvard, 21 Dec. 2015. Web. 23 Apr. 2019. Santos, Mariana Moura. "Bringing women into tech." Nieman Journalism Lab. Last modified December 21, 2015. Accessed April 23, 2019. https://www.niemanlab.org/2015/12/bringing-women-into-tech/.